Yesterday, Google officially launched the Google Glass Developer Kit (GDK) that allows developers to build glassware that works in a more integrated way with Glass. Part of the announcement of the GDK was to launch several Glassware apps that utilize the service. Allthecooks: A cooking app to help you read recipes without using your hands. Spellista: A word jumble game. GolfSight: A tool to calculate distances and the like as you wear silly pants and wave sticks at small round objects. Strava: A run tracking app. IFTTT: IFTTT is a service that lets you create powerful connections with one simple statement — if this then that. Jewish Guide for Glass: A companion for observant Jewish people. Reminds you to pray, where to pray, what to pray and much more. Umano: With Umano you will hear REAL voice actors read interesting news articles to you. 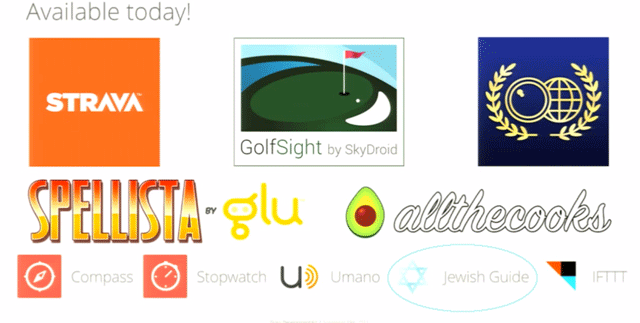 Disclosure, my company built the Jewish Guide for Glass, more details over here.